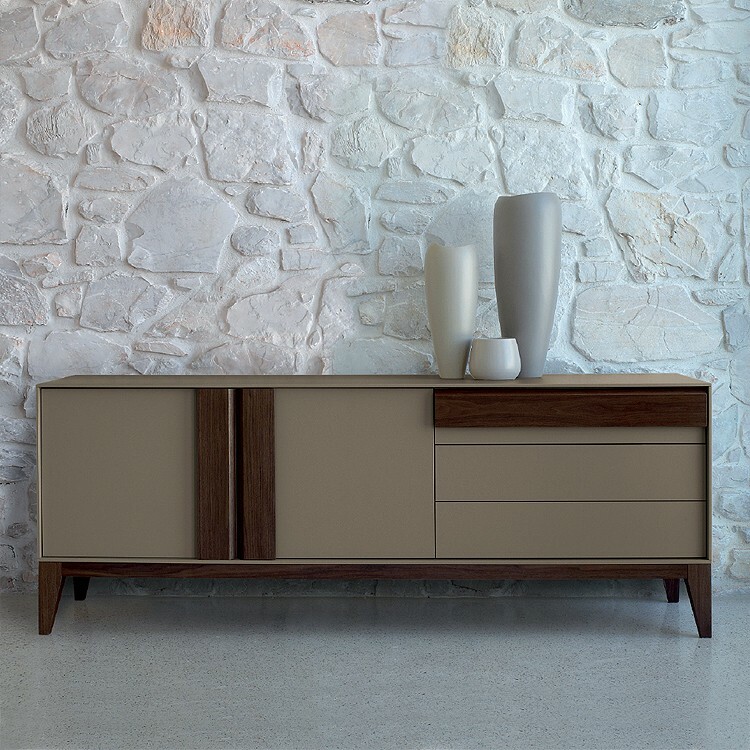 Olimpia is a modern sideboard with an abundance of elegance and refined details. This design strikes a fine balance between the traditional and contemporary, making Olipmio comfortable in any setting. 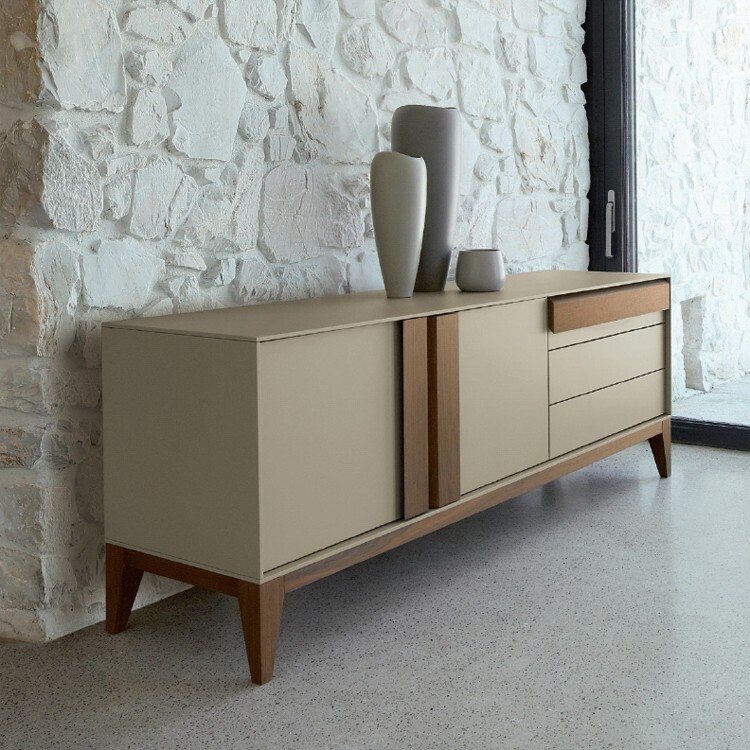 The wood frame is lacquered, with a choice of wood veneered or lacquered doors and drawers. The wood detailing is available in a number of finishes.